Members of DCTA’s Board Accountability Team (BAT) attended the last school board meeting to support the DCTA bargaining team and ensure the board is taking action to support school funding, teacher compensation, and a transparent search for a new superintendent. The board took action to support a resolution in support of Amendment 73 and took public comment regarding compensation and the superintendent search. DCTA members Katherine Kopp and Michelle Garrison spoke in support of Amendment 73, focusing on the need for funding to increase teacher compensation and whole child supports, respectively. DCTA president Henry Roman called on the board to increase transparency in the superintendent search, as the 3 board members leading the public engagement process have been blocked out of the resume review process. Lastly, the DCTA bargaining team called on the board to put pressure on DPS staff to come to the bargaining table with a productive proposal for fair compensation. The BAT will continue to be present at DPS board meetings and is always looking for members to join! 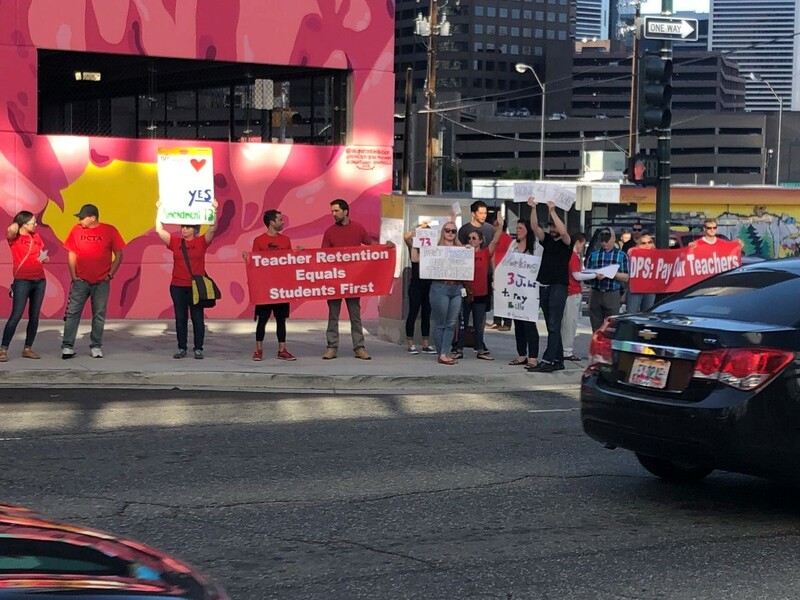 Please contact Alizay Furtado at afurtado@coloradoea.org if you are interested in joining our team to hold the DPS board accountable to putting teachers and students first!